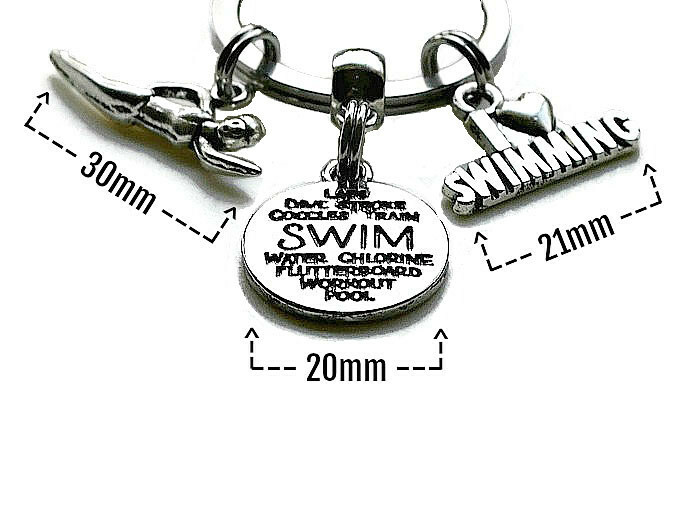 A lovely personal Keychain for anyone who loves Swimming. Comes wrapped in soft tissue in a black organza bag ready for gift giving. 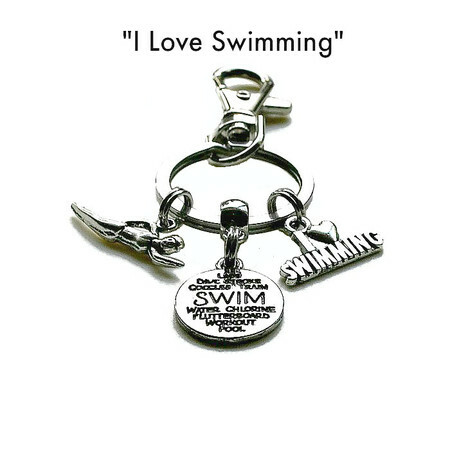 'I Love Swimming Keychain is designed to be detachable with a large lobster clasp at one end. Can be added as a personal decorative add on accessory for a handbag, school bag, gym bag or travel bag. In Stock and ready to ship. * 'I love SWIMMING' Keychain is approx 9.2cm in length and comes with three charms. 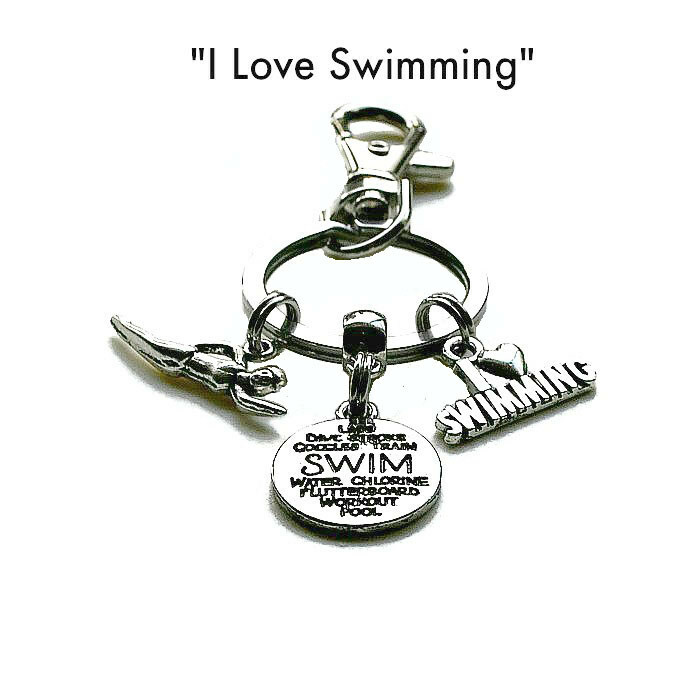 * A charm with the words "I Love Swimming", a swimmer charm and a Swim word collage charm. * The large swivel lobster clasp allows the key holder to easily be detached as needed. * A meaningful gift for swimming teachers, or anyone who loves swimming. 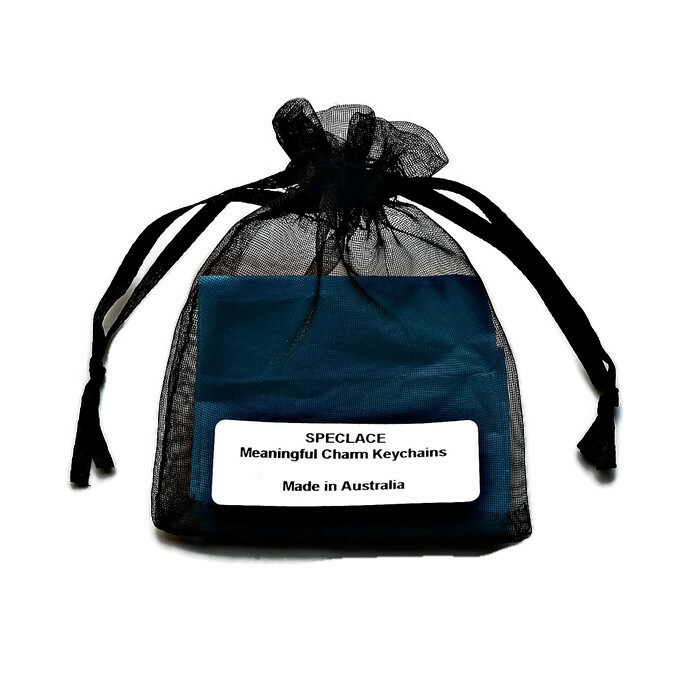 Comes wrapped in soft tissue in a black organza bag ready for gift giving.